With the wide array of browsers present, chances are that the website will face varied issues over these. Adding to the trouble is the advent of numerous devices which together, create an extremely large number of combinations to test on. 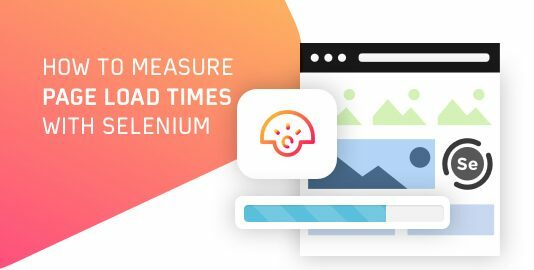 The website might sport the best design and features but as long as it is not tested to work on every possible platform, it will remain a ‘Work in Progress’. So to overcome the challenge of testing and simplifying the process, there are several cross-browser testing tools like LambdaTest. Yet, sometimes some minimal steps can prevent cross-browser compatibility issues. 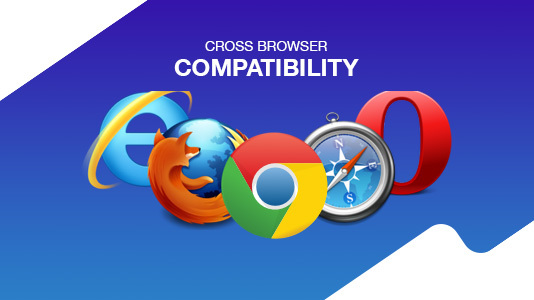 Today we’ll look at some of the most common cross-browser compatibility issues and how to fix them. Imagine writing the entire code and missing out on the most basic line! Yes, it can lead to a faulty rendering. Several browsers with outdated versions such as the Internet Explorer 8.0 and earlier often check for the Doctype. In case it is missing, the site will be not be rendered as per expectations. To understand why the doctype is checked, we would have to understand the two modes in which a browser operates. The first mode is called the Strict Mode. In this mode, the browser works with stricter code error checks and making sure that the code adheres to the W3C specifications. The second mode is called the Quirks Mode. The quirks mode was created with an intention of providing backward compatibility to older browser version and they do not perform strict error checking. When there is a missing “Doctype” tag in the webpage, the browser tends to go into the quirks mode. At the same time, if there is a browser which doesn’t support HTML5, it will not understand which version to look for. This would lead to some of the tags to become unresponsive and the webpage will not look as intended. This will ensure a perfectly rendered site in every browser available. This is a common cross-browser compatibility issue which is faced due to obsolete java scripts. But, tackling this cross-browser issue is easy. You can remove the browser detection. Instead use Modernizer, a collection of ‘superfast tests’ which list all the features of a browser, hence giving you a seamless experience. Using this the developer can direct the site to focus on features rather than browsers. Another major cross-browser compatibility issue faced by developers is the validation of HTML and CSS codes. This is mainly because different browsers read code differently. And not only read but also handle them differently. might cause an error on Internet Explorer and not on chrome. It is a very common cross-browser compatibility issue and has a simple solution. One can use code validating tools for HTML and CSS depending on their requirements. These validators are powered by W3C. Browsers by default have a design layout (CSS style) which is applied to the website. For any website to implement its own layout, the default has to be overridden. Until implemented, websites will be rendered differently on different browsers. To overcome this cross-browser issue, the websites rendered are ‘reset’ to the same basics. For this, developers use CSS reset style sheets. Addition of the style sheet ensures avoidance of any layout design issue. Some common reset style sheets used include HTML5Reset, Eric Meyers CSS Reset and the Github based Normalize.css. As previously mentioned, browsers have default layout styling. But, developers started using ‘Resets’ in CSS to remove the default design and apply their own. 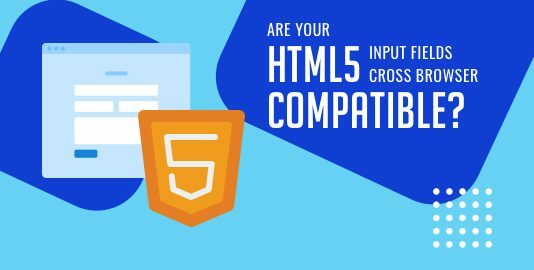 It has been one of the most common cross-cross-browser compatibility issues and has often been associated with one of the two reasons. It is either due to an irresponsive design on mobile devices or due to the difference in or lack of support for layouts by modern browsers. These issues are now easier to solve. A common solution is the use of floats which is supported by most browsers. But, a float is a floating image inside a text box and comes with limitations. For the modern-day layout, dedicated layout mechanisms such as CSS grids and Flexbox have been introduced. These are supported by most modern browsers and are effectively used by developers. The functions defined by the developer are, at times, contain functionality specific to browsers. While writing the CSS code, these browsers are denoted by specific codes. To ensure proper functionality and avoid this cross-browser issue, one needs to ensure the addition of the function without the prefix as well. This will ensure there is no error in other browsers. While technology keeps evolving and there are workarounds for the changes, a check on the features of the website should be on your checklist to avoid cross-browser compatibility issues. 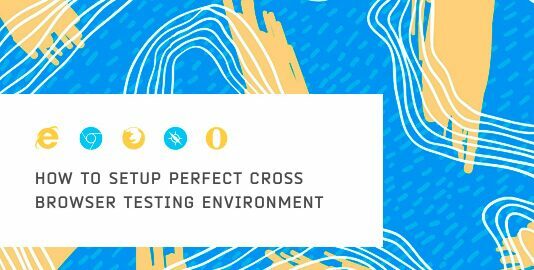 While cross-browser testing with tools is a part of the process, cross-checking the feature support with various browsers before putting it out in the market. Another important aspect is the use of polyfills and feature detection. This is a preventive measure which can improve cross-browser compatibility. Most websites are comprised of various third-party libraries and frameworks. These tools help developers to bring in structure, scalability, and security to the web applications. 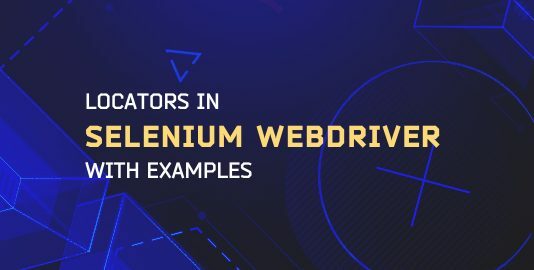 Using the wrong alternatives to these libraries can lead to a variety of cross-browser issues that can range from the incorrect working of library features to the complete framework crash. To avoid such issues, it is highly recommended to use well known and trusted frameworks that are cross-browser friendly. Angular JS and React JS are some examples of cross-browser friendly web application development frameworks. Bootstrap, Animate are examples of trusted CSS libraries. JQuery is an example of a cross-browser friendly scripting library. Stylesheets tend to have the capability to quickly turn into a mess. As more and more styles come into the picture, they get bulky and unstructured. In addition to this, if all the styles that cater to different browsers come into the same stylesheet, it becomes a maintenance nightmare. To navigate from this difficulty, it is beneficial to keep the styles separate for each type of browser that the website supports. Once the separation is complete, it can be included within the same HTML page by using conditional comments which help in invoking the right stylesheet for the right type of browser. No matter how much you avoid bugs, they always find a way to creep in so you always need to test for cross-browser compatibility issues. At LambdaTest, we provide you with a seamless framework to perform cross-browser compatibility of your application. We are positive that our interactive and real-time testing platform will help you identify bugs, and issues and enable you to a proactive approach of fixing them.